Item # 311651 Stash Points: 1,995 (?) This is the number of points you get in The Zumiez Stash for purchasing this item. Stash points are redeemable for exclusive rewards only available to Zumiez Stash members. To redeem your points check out the rewards catalog on thestash.zumiez.com. Grab a fun and fresh accessory for your casual days with the Blue Rose Strapback Hat from Empyre. Coming in a white colorway with blue and green floral roses throughout, this strapback hat features a faux-suede bill and strapback sizing piece for an accessory perfect for topping off your funky style. 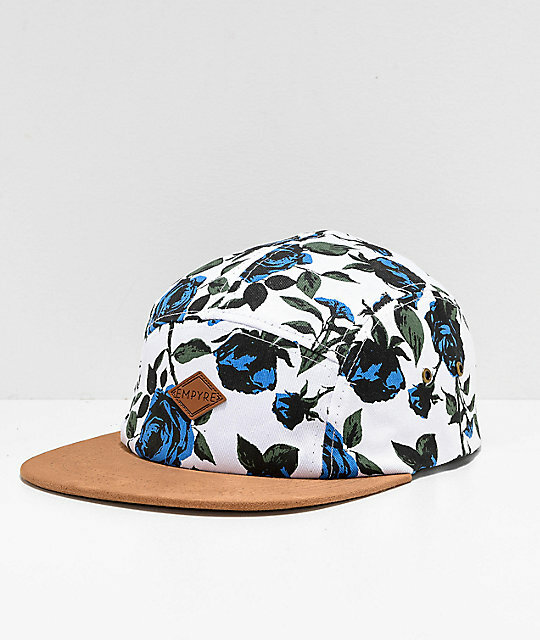 Blue Rose Strapback Hat from Empyre. Embossed logo patch on the front crown. 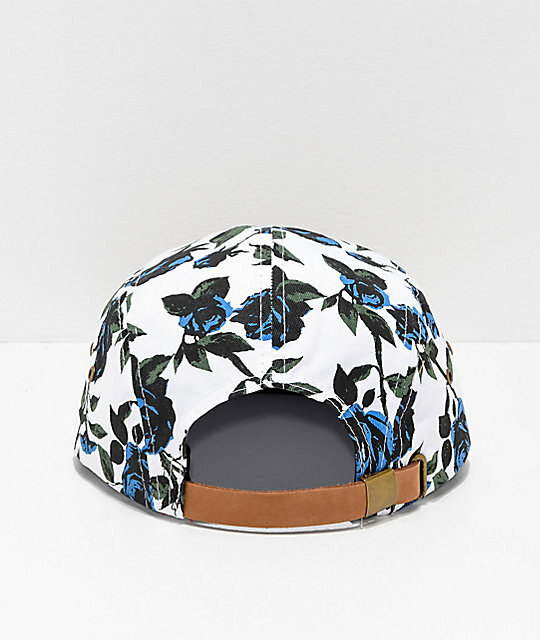 White with blue & green floral print throughout the crown. Metal eyelets on the sides. Hand wash only, line dry in shade.